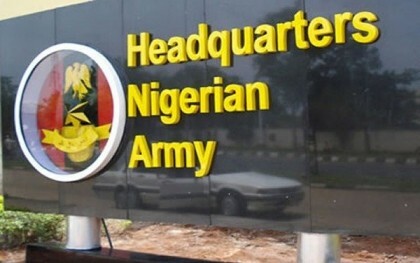 The Nigerian Army says a high profile terrorist and other members of the group have renounced their act of terrorism. The Director Army Public Relations, Brigadier General Sani Kukasheka Usman state this in a press release on Tuesday. “On Monday 17th July 2017, four Boko Haram terrorists willingly deserted their hideouts and surrendered themselves of 120 Task Force Battalion at Goniri. Among them was a high-profile terrorist, Konto Fanami, the Ameer of Kafa hideout of the Boko Haram terrorists group that operates along Ajigin-Talala-Mungusum axis.” He said. General Usman said that during preliminary interrogation, they terrorists confirmed that they abandoned the terrorism because of incessant hardship and realizing that they were misled by their terrorist group leaders. They repentant terrorists further stated they were also erroneously misinformed and brainwashed about Islam and the Nigerian military and the society generally. According to him, the remorseful surrendered terrorists regretted their involvement in terrorism and marveled at the courtesies and humane treatment accorded them by the military on surrendering. “We call on those remnants of Boko Haram terrorists to follow suit and renounce the devilish creed as adequately arrangement has made to receive all those that voluntarily renounce terrorism and surrender themselves and will be treated humanely.” He added.